So we’ve talked about why you want to plant in fall – you don’t have to water as much, plants get their roots well established through the winter, and there’s less transplant shock – meaning those plants you paid top dollar for will be glowing with health in the spring! But it can be rather discouraging to plant now when everything’s losing its leaves or retreating under the earth – so this fall planting series is all about instant gratification! Five amazing yet under-used shrubs which will shine for you all winter and into spring! Camellia x ‘Fairy Blush’ – There are many elegant Camellias in the world, with petite leaves and flowers, bloom colors that we don’t associate with Camellias (yellow! ), and graceful and diminutive habits that would suit any garden; yet the big growers only seem to focus on the few with ginormous honking bright flowers, and large leaves. Why is that? Does your average shade gardener have the sensibilities of a Texan? So I’m proud of Monrovia for introducing the Fairy Blush Camellia, which takes us a step in the right direction. 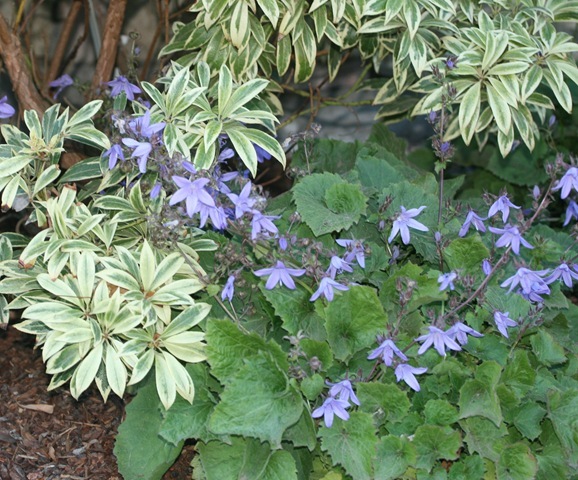 Fairy Blush has small leaves, a delicate and more open habit (about 4-5’), and a single corona of small seashell-colored petals. The buds are deep pink, and when they open, there’s a light fragrance that carries a few feet. Most of us in the Pacific Northwest should be able to find these deer-resistant beauties at our local nursery – if not – just ask them to special order one for you and tell them Monrovia grows them. Hopefully these will become popular enough to show the big growers that there’s a market for these lovely small Camellia hybrids. If you can’t squeeze one into your garden, put one in a pretty pot, where you’ll be able to enjoy the handsome form and gentle fragrance up-close. 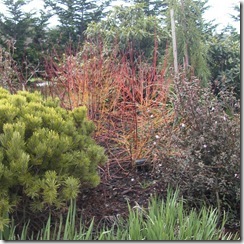 Colorful-Twigged Dogwoods – Many of us are familiar with the Red- Twig Dogwood shrubs which have been a staple of our winter gardens for years. They respond to the winter cold by dropping their leaves and making their stems glow a vivid red. There are large, sprawling versions for woodland gardens, a dwarf version, and even a cream-variegated version which I am partial to – Cornus alba ‘Elegantissima’. But I think ‘Midwinter’s Fire’ Dogwoods and Yellow-Twig Dogwoods are either unknown or unjustly overlooked. ‘Midwinter’s Fire’ is a neatly-growing variety to about 5’, with its shoots coming out a bright orangey-gold and becoming red at the tips. It’s like having a sunset in a plant – absolutely stunning against any kind of foliage backdrop. Yellow-Twig Dogwoods are a rich golden yellow, and I love to plant them with Rhododendron ‘Goldflimmer’, a variegated 5’ Rhodie with a gold splash on its leaves and warm purple flowers in May. Dogwoods need a bit of pruning to get a nice shape started – I just remove any branches that are actively sprawling on the ground – but the color! It’s hard to find such a bright yellow for the winter garden – especially considering all the dogwood shrubs are deer-resistant. Do give them more room than the tag says, though! These guys are vigorous, happy growers in our climate, whether in sun or part shade, and will quickly elbow out less-enthusiastic contenders. If the tags says they’ll get to 5’ (like with ‘Elegantissima’), expect that even with some pruning they’ll get 1-2 feet bigger all-round. 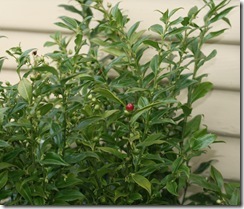 Sarcococca ruscifolia – (or Fragrant Sweet Box, if you prefer English!) 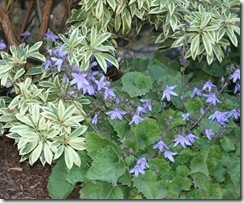 is one of those understated shade plants that you might not get the appeal of until you catch it in action. It has a graceful arching habit, prettily curving leaf tips, and deep green leaves – plus it is deer-resistant and will grow in the darkest of shade if you treat it nicely. All that’s enough to sell me on it, but the main attraction of this plant are its tiny white flowers, which go largely un-noticed. But you will know to look for them, because you’ll come home from work one day, get out of the car, and say to yourself, “What is that glorious fragrance?”. You’ll look around, puzzled, and give up, inhaling deeply as you admit defeat. After about a week of this you will finally track it down, and then, like me, you will be a fan for life. It blooms around January, and then produces lovely burgandy to reddish-black berries which hang on in a graceful fashion for a good part of the year, dotting the arching stems with color. Osmanthus heterophyllus ‘Goshiki’– Goshiki Variegated Holly Olive is a sturdy, slow-growing plant that simply glows with cheerful color. Its name means “five colors” in Japanese, which isn’t just hopeful marketing on the part of Japanese plant growers. Goshiki is speckled with cream, gold, pink, and orange, on a pretty base of green. It’s mostly cream and gold until the new growth starts coming out in early spring – with rich swirls of warm color. Now Osmanthus is prickly – let’s get that out of the way now! 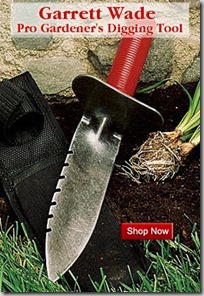 We don’t want to plant it next to a pathway or a hose bib. But the prickliness makes it deer-resistant, and the stiff texture of the leaves makes it tough chewing for most garden pests, so it is hard to complain! And it’s such a modest grower that you prune it rarely, so I’ll break my no-recommending-plants-that-hurt rule for this one – just give it about 5’ of space and let it fill in slowly. I’ve seen Osmanthus doing great with full sun to bright shade with little direct light, in containers and in the ground. Its foliage color makes it stunning with dark greens, blue foliage and flowers, and even orange or black grasses (not both at once!). 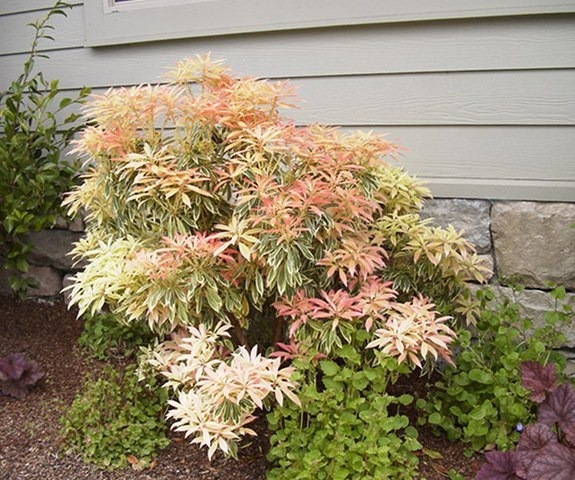 Pieris ‘Flaming Silver’ – This Variegated Lily of the Valley Shrub has gorgeous, fresh golden-variegated leaves, and pretty pink buds that give way to white bell-shaped flowers. In spring it puts on an amazing show of bright, soft rosettes of reddish-coral and light golden new growth. It does great in part sun to bright shade, but the new growth often gets burnt in full sun. 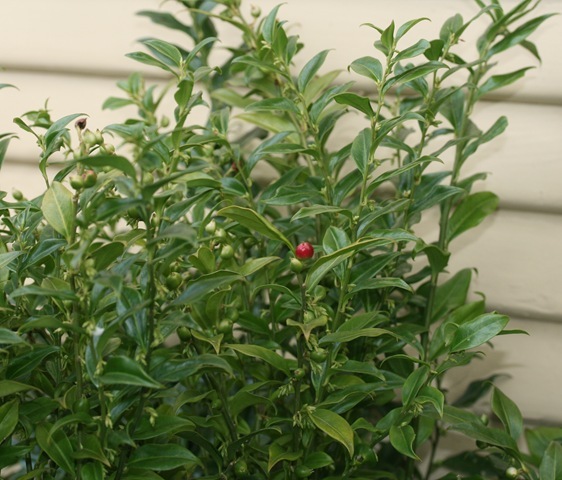 Its size and growth rate is similar to Osmanthus and they’re both deer-resistant, so why am I recommending two plants with similarly fun foliage and interesting new growth? It’s because they each have such a different impact on the landscape. Osmanthus is a very architectural plant – by that I mean it looks best with other things that have drama, boldness, or least a good size to them. Black Dwarf Phormiums/ Flaxes, Blue Mophead Hydrangeas, deep green Yaku Hybrid Rhododendrons with their silvery new growth, or wispy Miscanthus all look great with it. 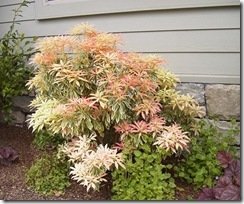 Flaming Silver Pieris, on the other hand, is soft where Osmanthus is sturdy. It goes great with flowering perennials like Mexican Bush Sage, Japanese Anemone, ‘Rozanne’ Blue Hardy Geranium/ Cranesbill, and Fuchsia thymifolia (Fairy Fuchsia). So now that you have these winter stars in your fall-planting arsenal, what are you waiting for? Check out your local nurseries’ fall sales, get outside in between the rainshowers, and plant some winter interest to bring you joy this year and beyond. That Camellia is gorgeous! I don’t think I’ve ever seen a Camellia with single flowers. The lack of frilliness makes the flowers seem much more elegant to me. I know! The Sasanqua Camellias, like ‘Setsugekka’, ‘Yuletide’, ‘Kanjiro’, and ‘Apple Blossom’ are all single-flowered too (or close to single! ), but this one’s particularly elegant. I want to get some side-by-side pictures of Camellia japonicas with sasanquas and now this little hybrid. The gradations of leaf and flower size are significant. The sasanqua Camellias make great container plants, too. Yes, I like the camellias with simple flowers best too. I have a long hedge that was alternating red flowered rhododendrons and juniper bushes. I tore out the junipers and am putting camellias in instead. I am putting Unryus in part of the hedge and will probably put Fairy Blush in the rest. I am hoping that new channel “shop Monrovia” is an affordable way to pick out your own choices from them. 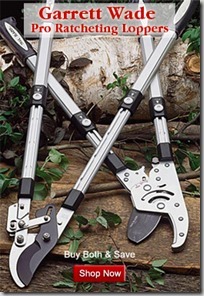 For anyone not familiar, you might want to check out the Camellia Unryu. It has pretty light red flowers and an unusual zig zag type of growth pattern. Another I like a lot is the Black Opal and closely related Night Rider. These have deep red flowers that I find very attractive. None of these are available from Monrovia, however, and they’re not that easy to find. Gossler farms has some, and sometimes Cistus Nursery.